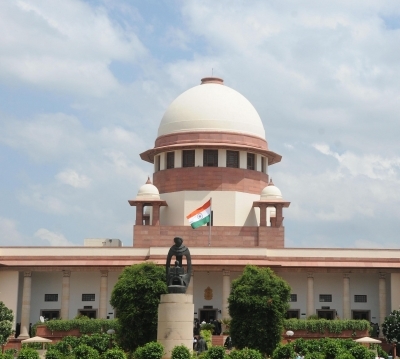 New Delhi Sep 14 (IANS) The Supreme Court on Friday gave Enforcement Directorate (ED) and others two weeks to respond to Nalini Chidambaram s plea against her summoning in the Saradha chit fund scam case. Nalini Chidambaram is a senior lawyer practising in Supreme Court. The bench of Justice Uday Umesh Lalit and Justice Ashok Bhushan gave ED two weeks after Additional Solicitor General Vikramjit Banerjee sought time to respond to Nalini Chidambram s plea against summoning. While giving time to ED Justice Lalit reminded ASG Banerjee that notice has already been issued in the matter. The top court while issuing notice to ED and others on August 3 2018 had said that the "interim order that was passed by the High Court during the pendency of the appeals shall continue." The court gave Nalini Chidambaram a week s time to file a rejoinder to the reply by the ED. Nalini Chidambaram has moved the top court challenging Madras High court order rejecting her plea against summons by the ED. Nalini Chidambaram was allegedly paid a fee of Rs one crore by the Saradha group to appear for them before the court and the Company Law Board over a television channel purchase deal.